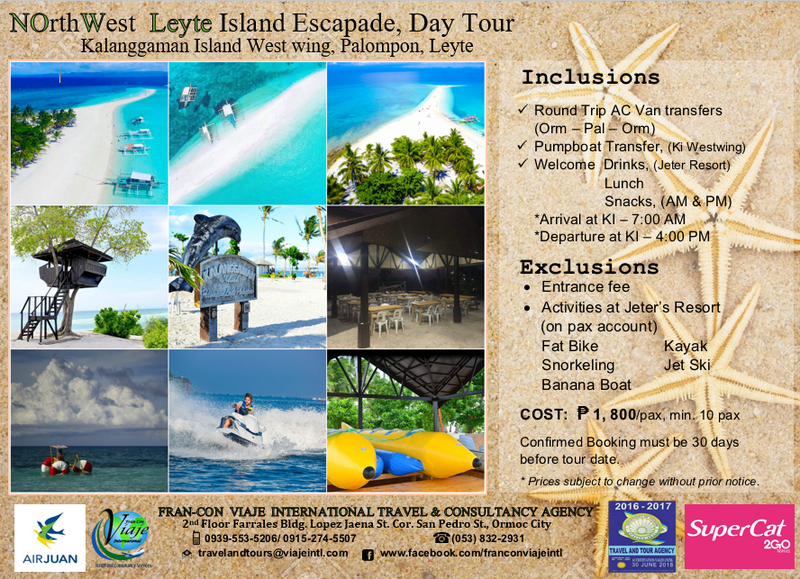 Kalanggaman Island Day Tour, an island paradise located in Palampon, Leyte. Sought after for its crystal clear waters, lush palm trees, and beautiful wide stretched sand bars. Kalanggaman is a Visayan term for "land of birds", since it's used to be a haven paradise for migratory birds, years ago. We'd take you to the fun side of the Island, Jeter Resorts West Wing. Experience the nativity and boldness of nature at it's finest, indulge in instagrammable shots and fresh goodness of seafoods. If you're looking for a hassle free, efficient and convenient summer vacation, book with us! 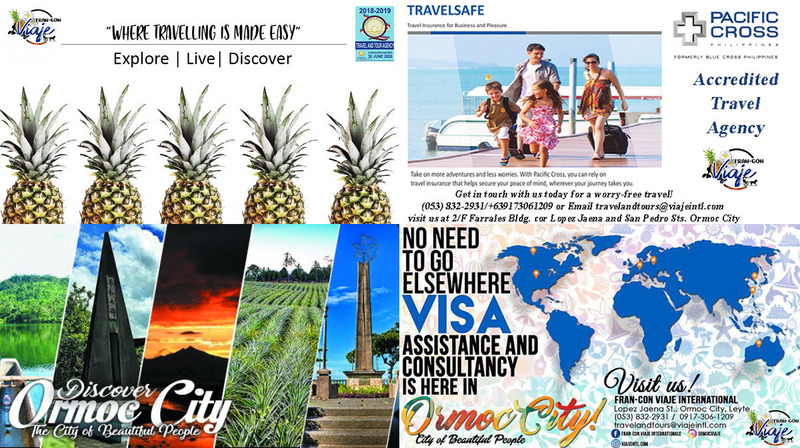 An accredited travel agency in Leyte, "Where travelling is made easy."